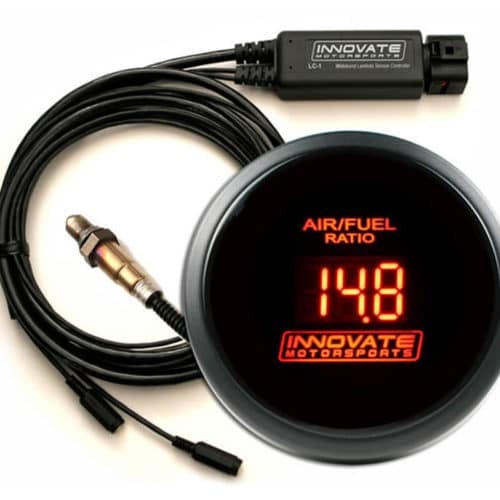 Innovate Motorsports’ New MTX-L PLUS wideband gauge features their patented DirectDigital™ technology and all-new Advanced Sensor Control which receives feedback from the sensor more frequently and optimizes heater control. 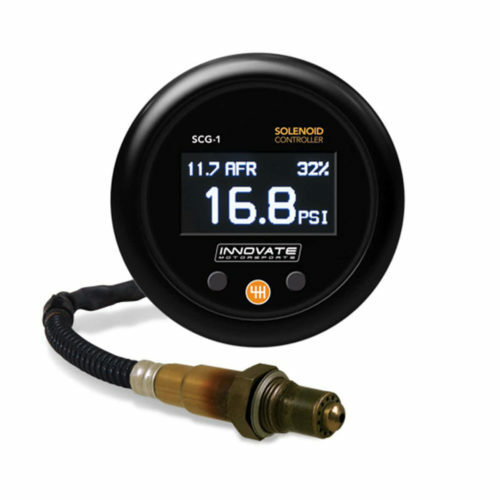 The combination of these technologies makes the MTX-L Plus their fastest, most durable and accurate air/fuel ratio gauge ever! 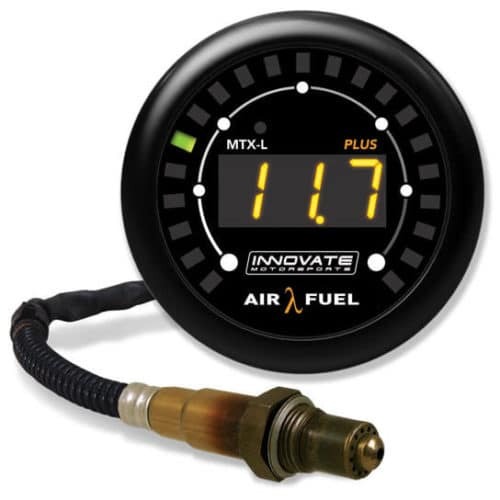 MTX-L PLUS: Digital Wideband Air/Fuel Ratio Gauge Kit (8 Ft.) – Includes: Gauge, Silver Bezel, Black Bezel, White Faceplate, Black Faceplate, LSU 4.9 Wideband O2 Sensor, 8 Ft. Sensor Cable (Overall length 10 ft.), 1″ Exhaust Bung, Program Cable, and Manual. Yes. It includes a “cage” to help mount in a flat panel, as well as a small wiring harness. Will it fit in a gauge cup? The MTX-L will fit in many gauge pods or cups meant for 52 mm gauges. 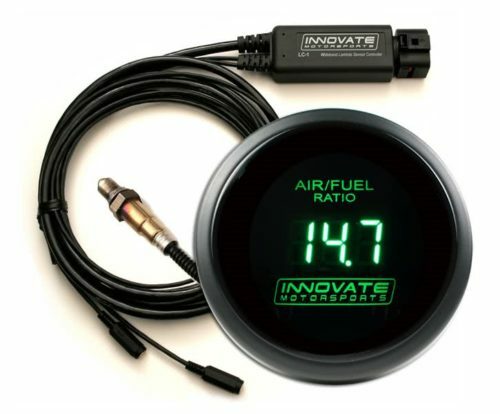 What fuels is this wideband compatible with? 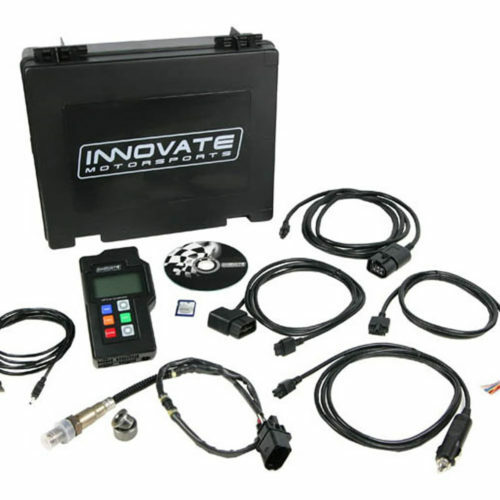 Yes, it will support gasoline, ethanol, methanol, diesel fuel, propane, and CNG. Note that the minimum measurable AFR is 0.5 lambda. If you’re using methanol as a substitute for an intercooler, it may not be able to read mixtures that rich. 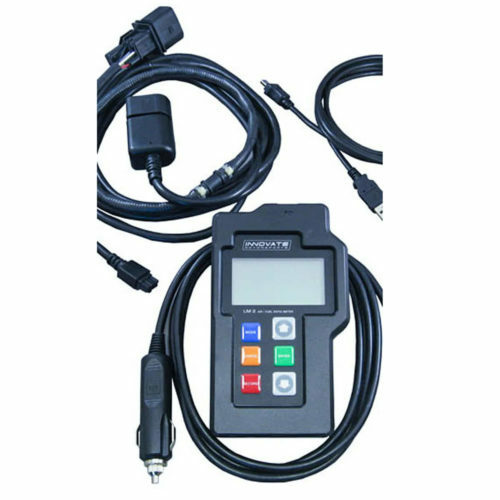 A Bosch LSU 4.9 sensor is included. How is this different from part number 3845? The only difference is the length of the wideband sensor cable. The 3845 has a 3′ sensor cable; the 3844 has a 8′ cable. 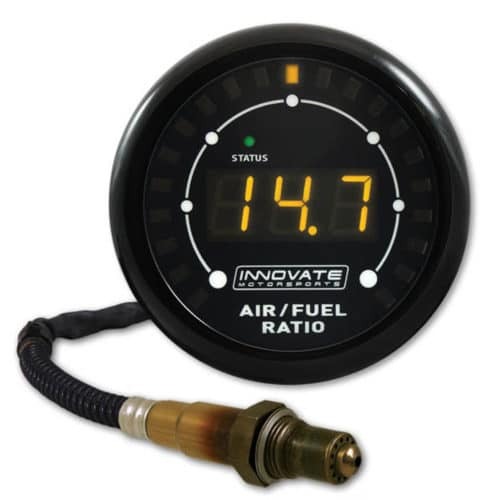 Generally speaking, the 3845 is better suited for powersports or other small engine applications and the 3844 is used in full size vehicles. Yes. Just run its analog output to the MSPNP's O2 sensor input and make sure the stock O2 sensor is disconnected.